Today’s episode of Yeh Rishta Kya Kehlata Hai starts with Suhasini telling that Vivaan is not there. But if his parents come and claim the child then what will they do, Manish tells who knows what will happen tomorrow. But Suhasini does not listen to anyone and tells that she is ready to make Gayu as her daughter-in-law but cannot give her child their family name, Samar is tensed as what will happen now? Suhasini tells Samar that he should tell Gayu to abort this baby before marriage. 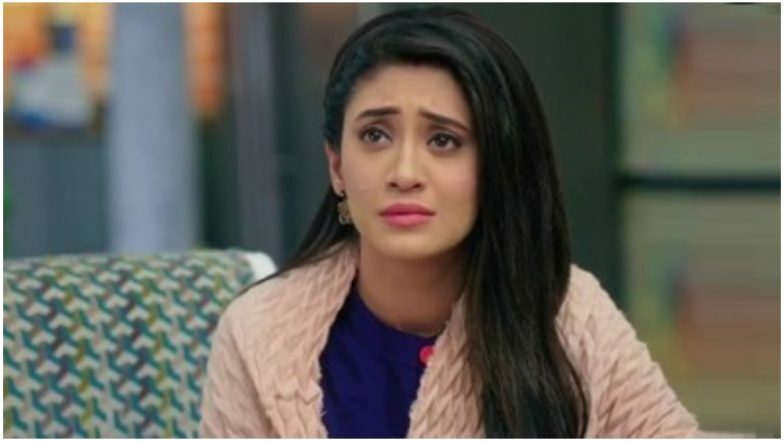 There Naira (Shivangi Joshi) is tensed and tells Kartik (Mohsin Khan) they should go in, just then Samar comes out but does not say anything and goes out of the house. Suhasini comes and tells to arrange for the engagement of Gayu and Samar. Next day as Suhasini is praying, Naira comes and keeps the engagement ring and they pray for the well being of the couple. Suddenly Kartik comes and tells that Rama was saying that from morning Gayu and Samar have gone somewhere and their phone is also not reachable. Suhasini is happy hearing this as she thinks they might have gone to meet the doctor for an abortion. Suhasini and all come home for engagement ceremony, they greet each other and welcome them. Rama is tensed as where is Gayu gone but Suhasini tells that they will come and not to take tension. Kartik and Naira tell everyone that this engagement won’t be done, all get tensed. Naira tells that Samar and Gayu has left the house and gone. All are shocked to hear this. Kartik narrates what all happened and that they and Purushottam also support them. Suhasini gets angry when she comes to know that Naira told them to run away and scolds her as for why did she do this. Kartik tries to make Suhasini understand that Naira is not to blame and that she should change her way of thinking. Naira tells Suhasini that she is wrong as she was going to kill an unborn child which is not right and tells her that no one then they both can understand the importance of a baby’s life. Naira tells Suhasini that she was going to do a sin and she will never allow it to happen. In the precap, As all enjoy and dance in the function of Gayu and Samar, Purushottam try to touch Naira but Mansi comes and pushes him away.